I have been reviewing many board game Kickstarter projects lately. And I wanted to share with you what I learned from 5 of the best Kickstarter board games of 2016. While you and I don’t have a large team to set up a massive Kickstarter, we can still learn from what these companies did correct. Think of ways to incorporate their unique strategies into your own Kickstarter. These 5 campaigns along with several others are what inspired me to create my Kickstarter template. If you have read that article, then you know what these successful Kickstarters have in common. However, this article will focus on what these 5 campaigns did differently and/or better than the others. Opening Video – Over half of the 4 minute and 39 second video was player reviews. I liked the importance this company put on showing off other players enjoying their game. The Harvard Business Review has a good article on the effectiveness of “peer observation” in marketing. Campaign – Reddit AMAs (Ask Me Anything’s). The game designers did 5 Q&A’s (AMAs) through Reddit.com. You can check this one out with both designers, Mat Hart and Rich Loxam. This is great for 2 reasons. Informing others of your Kickstarter along with building up excitement with potential backers that are not sure if they want to make a pledge (donation) yet. I also want to point out that they did their AMAs in the middle of their Kickstarter campaign. It is good to do your AMA during the campaign so you have a link to your project. This will give people more information on both you and your project so they can ask specific questions. Opening Video – As a big fan of character building, I got excited when the video explained how in depth this aspect of their game was. The video did a great job at making me eager to back the game so I could build my own character. Campaign – They have a lot of “Kickstarter exclusive” miniatures. I think this is pretty awesome because it makes backers feel exclusive. Though having this many Kickstarter exclusives may be too complicated for you running a campaign by yourself, you can still consider having 1-2 Kickstarter exclusives. Your backers would enjoy this type of special treatment. Opening Video – Their video is unique in that they focus only on lore, or the storyline behind their game. This works for this campaign because this is the final expansion in an already made series of games. Campaign – They primarily focus on the lore of this expansion of their game. A link is provided back to the games’ website that show potential backers how to play the base game in case they want to buy it as well. Opening Video – This video is cool because it is made by the artist of the game (Matthew Inman). Which is different than most games who are made first by a game designer who hires an artist. In this case, the artist asked a game designer for help making his game. This is awesome to me because one of Streamlined Gaming’s core values is teaching the art of game design. You don’t have to be a “game designer” to create a game just like you don’t have to be a “painter” to paint a picture. In this case, an artist became a game designer and made his own game. He ended up asking advice from a game designer, but he made the foundation of the game and had it working. 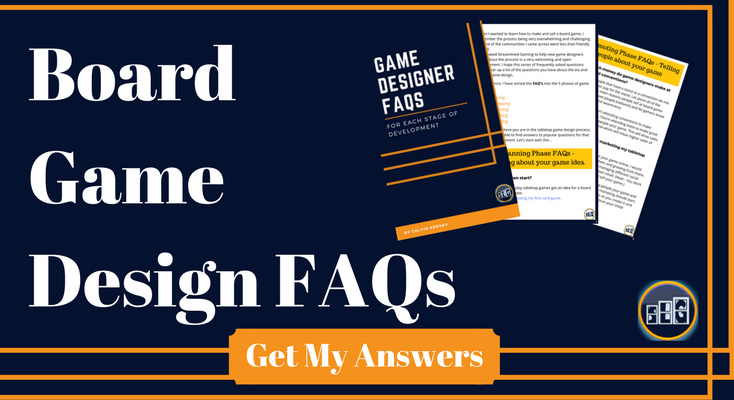 Campaign – If you like a cool story about how to solve a game design issue, then you will love a particular section of the campaign. This section talks about how Matthew Inman (the artist) was having trouble making his game not feel like the players were on “autopilot”. Meaning the game was basically playing itself. So Matthew then talked to Elan (his game designer friend) and Elan figured out a way to add “a layer of much-needed complexity” to the game. Matthew also noted that this was challenging because they didn’t want to add too much complexity. Adding too much complexity to the game would be bad because of their game type (“party game”). Opening Video – The “how to play” section in their video was the best. I was wanting to play this game immediately. If you want to get better at pitching your own game, they do this well in their video. Check it out for inspiration. Campaign – This campaign unlocks new play modes as one of its’ stretch goals. This is fairly unique to see the designers adding a new set of rules to play the game as a stretch goal. The 2 new modes are co-op and solo play (as opposed to free-for-all). In 4 out of 5 of these campaigns, they have very simple to understand pledge goals. The campaigns do a great job at making it very easy for potential backers to see how they can support the campaign and receive the game for supporting it. While a lot of the older campaigns would have 5 or more different pledge goals, now the majority of successful campaigns are only having 2-3 different pledge goals. They still have a lot of additional pledging options for backers in the form of add-ons. However, I wanted to point out how popular the “small number of pledge goals with a lot of add-ons” seems to be in 2016. What did you learn from some of these best kickstarter campaigns of 2016? Let us know your in the comments below.